The Indian home loans segment is one of the highly beneficial and thriving businesses and has clocked more than Rs. 6 trillion up to 2012-13 irrespective of the sluggish response from the customers. Due to this Himalayan size of the market, almost every bank and/or financial institution in India is offering a home loan package. It is estimated by the industry observers that home loans alone constitute 80% of the business done by financing corporations. This segment has recorded 17% grow rate in 2012-13 as compared to 2011-12. 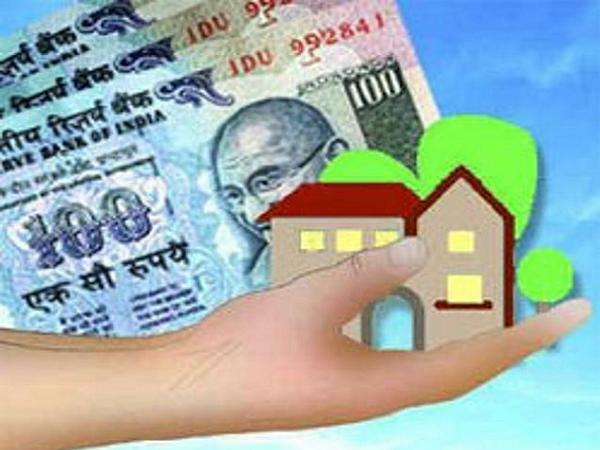 That is why both Government and private sector banks are offering attractive interest rates for home loans with a sole intention of grabbing as big a piece of cake as they can do. Housing Development Finance Corporation (HDFC) is the India’s largest loan & mortgage provider in private banking that offers varieties of housing finance options. 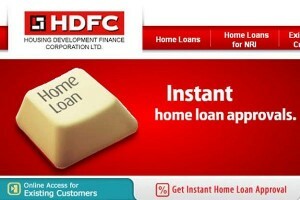 HDFC offers four types of home loans i.e. For the first time buyer home loans types and calculations might be confusing and difficult to understand. HDFC’s website offers various calculators which can help the customers in calculating various computations like interest rate, EMI etc. HDFC provides the home loans up to 80% of the property’s cost which includes the land cost as well. This quantum of loan is subject to the repayment ability of the customer. The eligibility to obtain a home loan depends on certain important factors like (a) net salary of the individual; (b) loan amount required and (c) tenure of the loan repayment. Alongside of the above, certain crucial factors like the age of the applicant, number of dependents, applicants qualification, assets & liabilities (at the time of applying), spouse’s income, savings history etc. would be scrutinized. Home Loan Eligibility Calculator of HDFC’s official website helps the customers to understand their eligibility before applying for a home loan. Home loan eligibility calculator’s parameters include Resident Type, Rest Frequency, Interest Rate Option, Loan Product i.e. Type of the loan, Rate of interest and Loan term. By filling these parameters, calculator would let the customers know whether they are eligible for the loan amount that they are looking at. Once the eligibility criteria are met with, customers can apply for home loan through HDFC Home Line or HDFC Office Locator or through Get Instant Home Loan Approval. Customers can send SMS to 56767 by typing HDFCHOME and sending it to the aforesaid number. 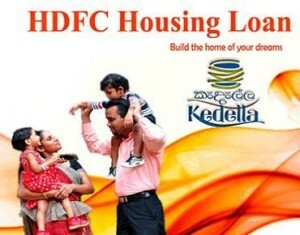 HDFC cut the home loan interest rates as recently as 06th February, 2013. The interest rates on loans were lowered by 10 basis points. With this reduction the new interest percentage stands at 10.15% for the loans under Rs.30.00 lakhs and for loans above Rs.30.00 lakhs the new interest rate of 10.4% is applicable. The newly announced home loan rates from HDFC are highly attractive as it passes on the cost reduction of the funds to its customers. This is because, the new interest rate can save Rs.7/- per lakh for home loans with 20 years tenure. Good news is that HDFC has extended this low interest rate benefit to its old customers as well. There are two types of loan interest rates i.e. (1) Adjustable Rate and (2) Fixed Rate (more details can be obtained from the relevant officers of HDFC Bank). But all said and done, HDFC home loans are undoubtedly the low interest home loans. Home loan calculator is a tool that helps the customers to calculate the home loan amount based on certain parameters like Loan amount, ROI, Tenure for repayment, Interest Percentage etc. Customers can calculate the loan amount that they can avail by inputting the desired values of the parameters. HDFC Home Loan EMI Calculator is an important online tool available in the official website of HDFC Bank. This EMI tool enables the customers to forecast the equated monthly installment (emi) and cross check with their budget. EMI Calculator is pretty simple to operate and all that a customer need to do is to move the animated pointers 3 important parameters i.e. (A) Loan Amount; (B) Rate Of Interest; (C) No. of Years. But dragging the pointers for different loan amounts, ROI and tenure (no. of years), customers can estimate the EMI that they need to pay every month. By default, the home loan emi calculator will be showing default values like Rs.1,00,000 as loan amount, ROI as 10.75% and tenure as 5 years. Customers need to move the pointers to the desired values to see the estimated EMI value. Likewise, customers can easily assess not only the EMI but also can fine tune their funding requirements so that they won’t overshoot the budget. HDFC’s Customer Care is highly sophisticated and uses all the latest technologies. Their home loan customer care is a dedicated post-loan service segment that can be reached through email, phone or by walking into their offices/branches. The online query form can handle service requests, suggestions and complaints from both new and existing customers. These queries would be segregated branch-wise for easy handling. The drop-downs and check boxes on the online query form would reduce the manual typing and speeds-up the service request time. Existing customers can take maximum advantage by accessing the bank services online. For this, they need to enter their login user id and password. For new users, it is very easy to create their online access by clicking on ‘Register as New User’ and following the simple instructions to complete the registration. For those customers who wish to transact over phone, HDFC website displays the telephone numbers of important branches and offices. The telephone numbers of other branches can be accessed from the website by clicking on the India map that is marked with HDFC logos. HDFC’s Grievance Redressal Procedure will ensure that no customer is turned away without his/her complaint unresolved. The escalation matrix that is provided in the official website can allow the customers to reach up to the Managing Director of HDFC and as a final escalation, they can approach the supreme body i.e. Department of Regulation & Supervision. Customers can know about their home loan status through various ways like calling the Customer Care department or checking the bank’s website or by walking in to the nearest branch/office. Loan statement can be obtained through SMS as well.